Apple’s iPhone is the most popular smartphone on the planet, and it’s had an absolutely immeasurable effect on society and pop culture. It just turned 10, so here are the top 10 most iconic moments in the history of Apple’s stellar smartphone. Where it all started. After months and months of speculation, rumors, and a few small leaks, Apple’s co-founder and then-CEO took the stage to show the world what Apple had been working on. It was an iPod, a communication device, and a phone all wrapped up in one! The world would never be the same. 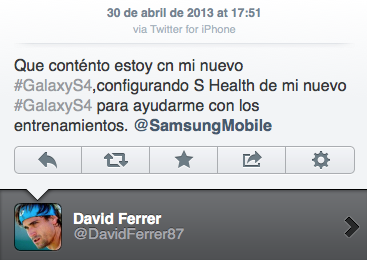 Huge companies pay celebrities for endorsements all the time, but when superstar tennis player David Ferrer sent out a tweet praising the Samsung Galaxy S4 in a paid advertisement, something was very, very wrong. You see, his tweet was actually sent on an iPhone. This kind of thing happened multiple times, and showed where many famous techies actually placed their faith — in Apple. One key measurement of pop culture success is if you manage to make it onto an episode of The Simpsons, and Apple has shown up in Springfield many, many times. In one hilarious spoof, Siri showcases her wits (or lack thereof) in a silly gag that will make any iPhone user giggle. It’s impossible to know how well the iPhone would have been received if Apple didn’t launch the App Store shortly after its debut. From Angry Birds to Snapchat, the store completely changed the way we use our phones by allowing anyone and everyone to make any app they could dream of. It was a revolution, and it still is today. When Macklemore sent a text to Kendrick Lamar, apologizing for winning an award that he felt Lamar should have taken himself, it was a show of good faith and friendship, but the fact that the screenshot showed the world that both hip-hop superstars use the iPhone was a huge endorsement of Apple’s smartphone. When the iPhone 4 launched, it had a sleek, industrial design that was completely unlike anything in the smartphone world. It also had a really, really big problem: an antenna that would poop out if you held the phone in a certain way. Shortly after launch, social media blew up with people complaining about the iPhone, and Apple scrambled to make things right. It sent out free cases (which fixed the issue for many users) and tweaked its design, but the brand was bruised, and forced Apple to work even harder to maintain its stellar reputation going forward. Even if you don’t use Siri much today — and especially if you’ve replaced her with Alexa, Google Assistant, or any other virtual helper — Apple’s digital know-it-all has forever changed how we interact with our smartphones. She spawned a whole host of copycats, and jumpstarted an entire industry built around voice recognition. Remember this tweet? It was the most retweeted tweet of all time shortly after daytime star Ellen took the now famous selfie with a bunch of her celeb pals, and it was taken on a Samsung phone. So why is it an iPhone moment? Well, because as soon as Ellen was backstage, she started tweeting from the device she actually uses, an iPhone. With so many iPhones in use around the world, it was only a matter of time before a criminal was found to be an iPhone user, too. When terrorists attacked in San Bernadino, California, one of the individuals was found to have used an iPhone, which was then in possession of the FBI. The agency demanded Apple unlock the phone or create a tool to hack the device’s built-in encryption. Standing up for user privacy, Apple refused, stating that doing so would open up a whole can of worms, and put the privacy of innocent users at extreme risk. It was a character moment for the company, and a huge moment for the iPhone. When it comes to tech CEOs, you can always be sure they’re ready to rag on the competition whenever possible. When Apple debuted the iPhone in 2007, Steve Ballmer, then-CEO of Microsoft, was asked about it in an interview. His reaction is priceless, laughing, scoffing at the price, and claiming that no phone without a keyboard will ever score a home run in the market. Oh how wrong he was. What’s your most iconic iPhone moment? Be sure to send us a comment and let us know!